The story in Merenian Tavern Story is cutesy with a quirky sense of humor. The protagonist and her family get cursed when her brother is possessed by the God of Poverty and must work at the local tavern and work off their debt while learning how to undo the possession. There's actually much more to do than simply work at the tavern though! 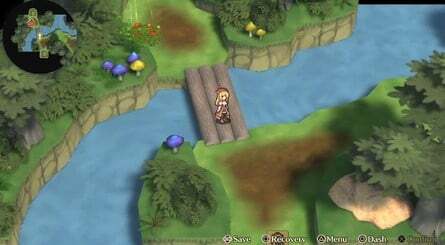 You also gather and hunt monsters for materials in the dungeons, grow materials at the local farm, do favors for customers, and much more, which will keep you entertained and busy for quite some time. 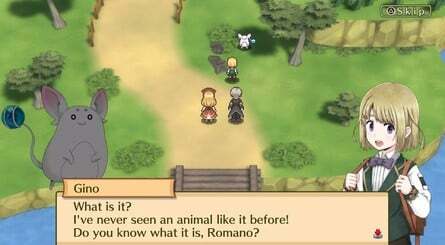 The only downside is that the game doesn't always explain what you need to do next to advance the story, which can be somewhat annoying at times. 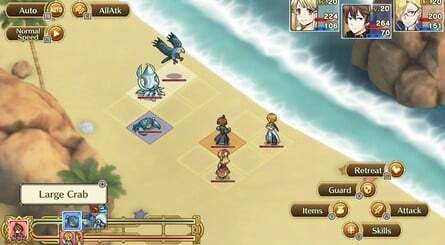 The gameplay is very enjoyable and is very reminiscent of the Atelier series of JRPG's. The turn-based battles are quite enjoyable and the bosses require some strategic planning to defeat. The controls are easy to learn which is always a good thing. 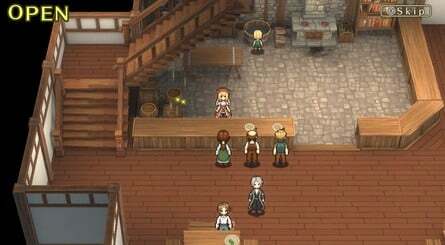 Marenian Tavern Story is also fairly lengthy and will take most newcomers a good 30 hours to beat, but completionists will find the game is significantly longer to 100%. The audio-visual presentation is nice enough, the 16 graphics look amazing while the character art in the visual novel style cutscenes looks detailed and gorgeous. The music is pretty enjoyable as well and fits the game well! Bottom-Line: With a great story that's both enjoyable and humorous, amazing gameplay, and an excellent audio-visual presentation, Marenian Tavern Story for the PS4 is a highly enjoyable game that is a blast to play and we highly recommend it to fans of the genre! We give the game a a good to great level of recommendation! Thanks for continuing to support our website! @Ragnarok Welcome back! Longtime no see! Thanks for leaving a comment. @Megatron2000 Thanks for the comment!